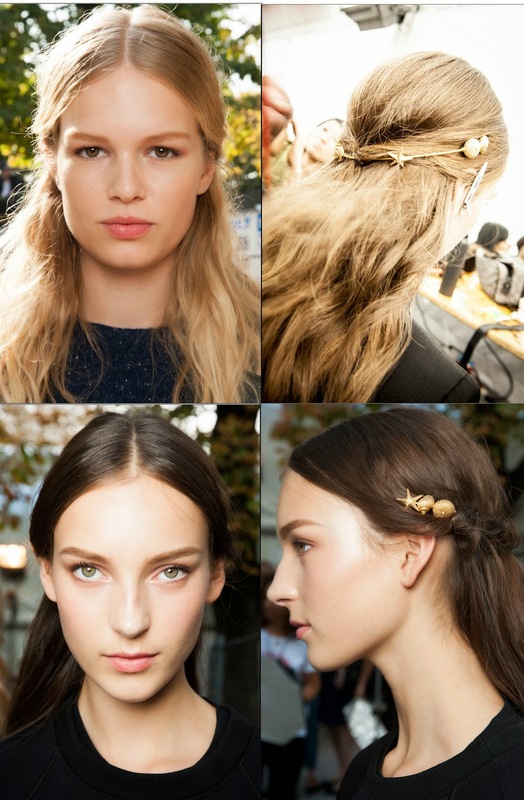 For SS15 Beauty, the skin was kept very natural, dewy and beautifully highlighted. There wasn´t a lot going on in the eyes. The makeup was fairly natural, but what what changed from show to show were the lips. 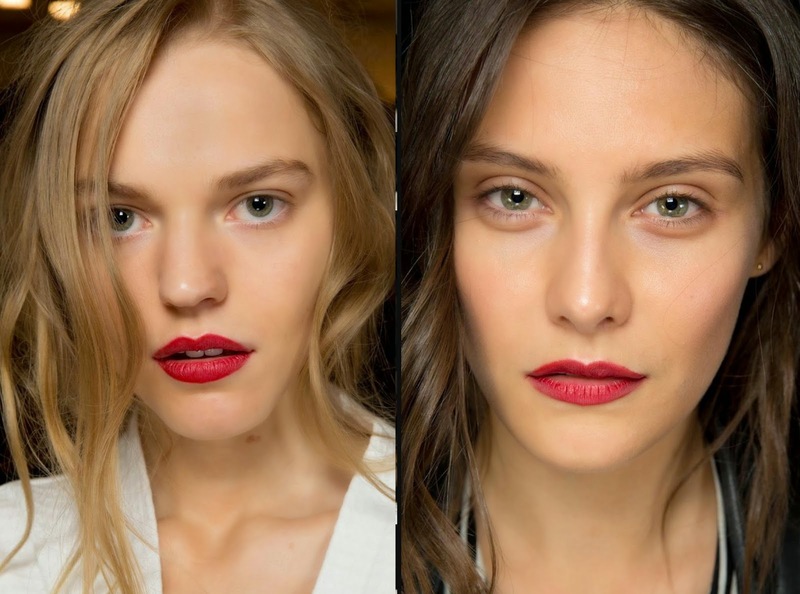 Some opted for a natural lip, while other went for a bold one. There were some berry and red lips going on! 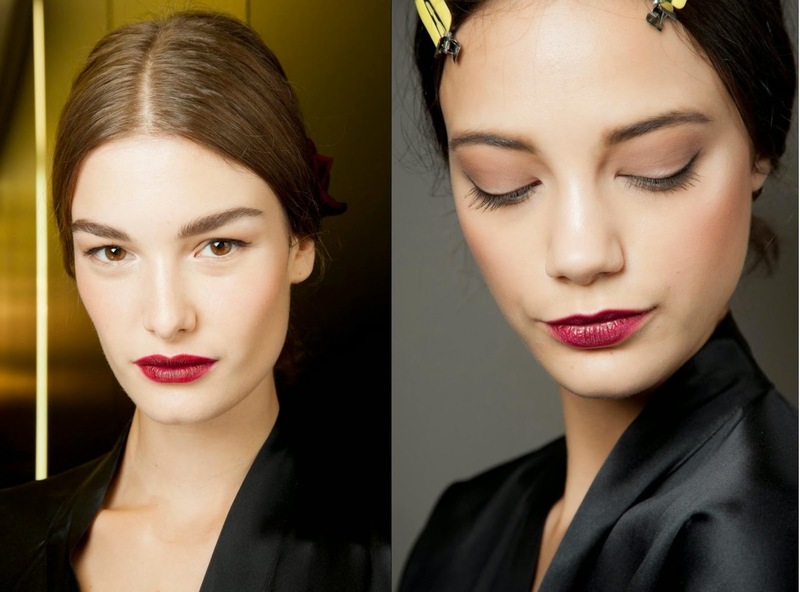 Which is a change from what we are used to see for Summer, I definitely don´t wear a berry or dark red lip in the Summer, but it looked amazing! These were my favourite looks, but my top 2 were from Burberry and Dolce & Gabbana. The only show I actually know what was used was the Burberry show. Here´s the details! They started with the Burberry Fresh Glow Luminous Fluid Base in Golden Radiance No.02 to give a glow to the skin. For the base they used a mix of the Burberry Glow BB Cream and the Burberry Fresh Glow Foundation. The concealer used was the Burberry Sheer Concealer. For blush the Burberry Light Glow Blusher in Earthly No.07, which it was used also as a sheer wash of colour on the eyes as eyeshadow. One of the particularities of this look, was that they didn't used any mascara, to keep the look more modern. 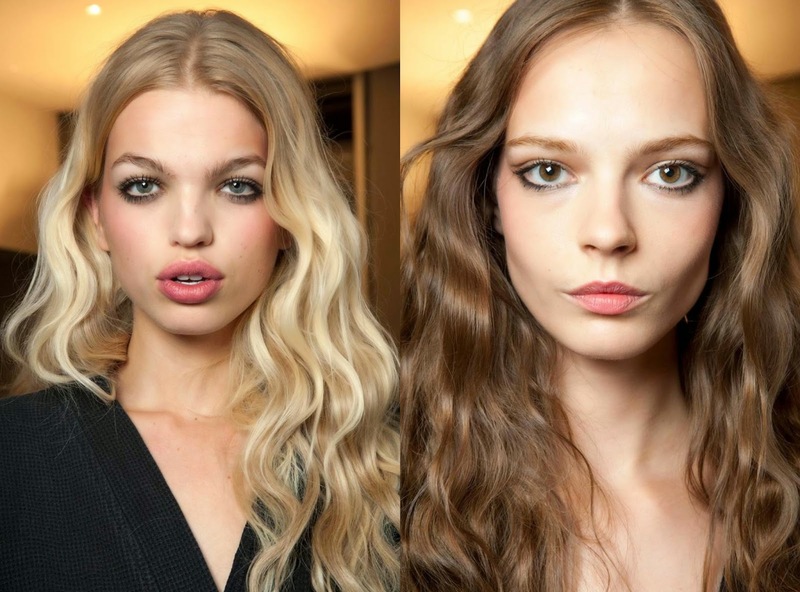 I love mascara, so don´t know if I´m going to embrace this look, we´ll see. To keep the eyebrows in place it was used the Burberry Effortless Eyebrow Definer. 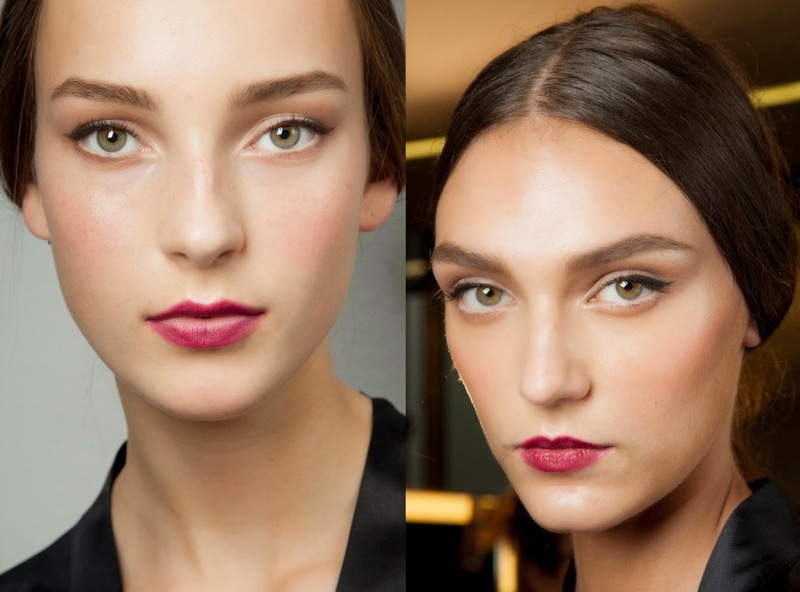 And finally the focus point of makeup, the lips, the lipstick used was the Burberry Lip Cover in Ruby No.18. What were your favourite Beauty looks? 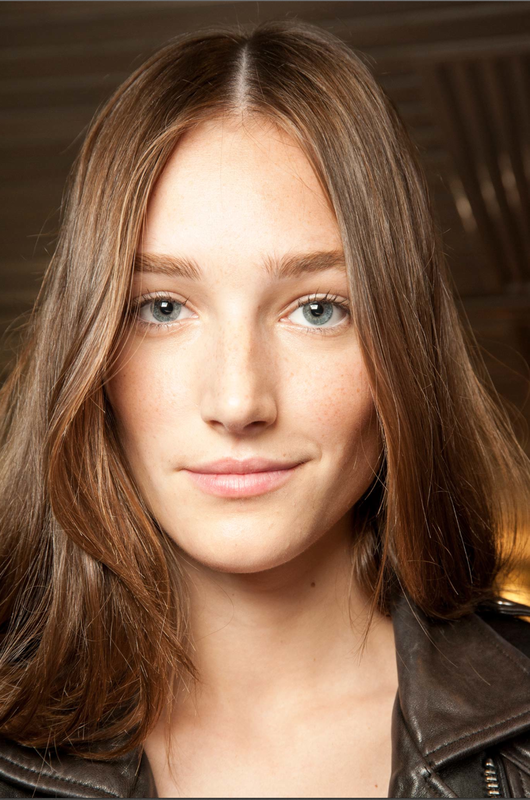 Will you embrace the no mascara look?